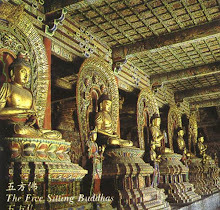 There are many special or holy days held throughout the year by the Buddhist community. 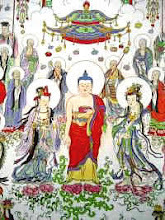 Many of these days celebrate the birthdays of Bodhisattvas in the Mahayana tradition or other significant dates in the Buddhist calendar. 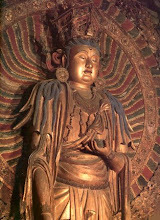 The most significant celebration happens every May on the night of the full moon, when Buddhist all over the world celebrate the birth, enlightenment and death of the Buddha over 2,500 years ago. It has become to be known as Buddha Day. 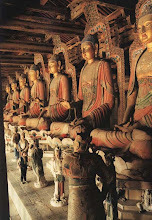 Buddhist Festivals are always joyful occasions. Typically on a festival day, lay people will go the the local temple or monastery and offer food to the monks and take the Five Precepts and listen to a Dharma talk. In the afternoon, they distribute food to the poor to make merit, and in the evening perhaps join in a ceremony of circumambulation of a stupa three times as a sign of respect to the Buddha, Dhamma, Sangha. 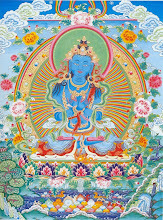 The day will conclude with evening chanting of the Buddha's teachings and meditation. 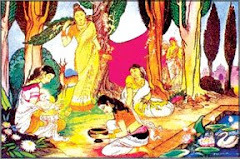 In Theravadin countries, Thailand, Burma, Sri Lanka, Cambodia and Laos, the new year is celebrated for three days from the first full moon day in April. 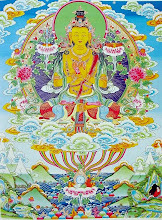 In Mahayana countries the new year starts on the first full moon day in January. 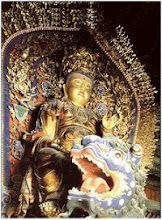 However, the Buddhist New Year depends on the country of origin or ethnic background of the people. As for example, Chinese, Koreans and Vietnamese celebrate late January or early February according to the lunar calendar, whilst the Tibetans usually celebrate about one month later. 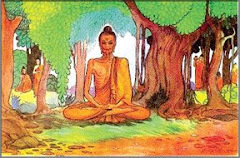 After the first Rains Retreat (Vassa) at the Deer Park at Sarnath, the Buddha went to Rajagaha city where 1250 Arahats,(Enlightened saints) who were the Buddha's disciples, without prior appointment, returned from their wanderings to pay respect to the Buddha. 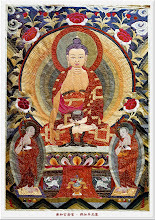 They assembled in the Veruvana Monastery with the two chief disciples of the Buddha, Ven. 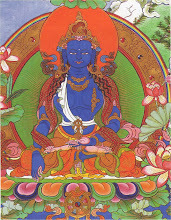 Sariputta and Ven. Moggalana. 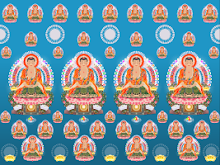 The assembly is called the Fourfold Assembly because it consisted of four factors: (1) All 1250 were Arahats; (2) All of them were ordained by the Buddha himself; (3) They assembled by themselves without any prior call; (4) It was the full moon day of Magha month (March). 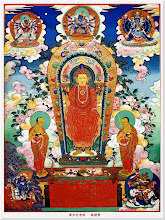 Is held on any convenient date within one month of the conclusion of the Vassa Retreat, which is the three month rains retreat season (Vassa) for the monastic order. It is the time of the year when new robes and other requisites may be offered by the laity to the monks. 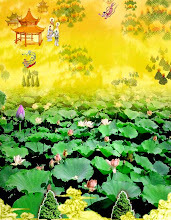 At the end of the Kathin Festival season, when the rivers and canals are full of water, the Loy Krathong Festival takes place in all parts of Thailand on the full moon night of the Twelfth Lunar month. People bring bowls made of leaves (which contain flowers) candles and incense sticks, and float them in the water. As they go, all bad luck is suppose to disappear. The traditional practice of Loy Krathong was meant to pay homage to the holy footprint of the Buddha on the beach of the Namada River in India. Kandy is a beautiful city in Sri Lanka. On a small hill is a great temple which was especially built to house a relic of the Buddha - his tooth. The tooth can never be seen, as it is kept deep inside may caskets. 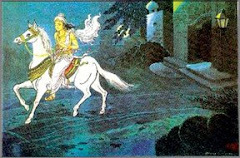 But once a year in August, on the night of the full moon, there is a special procession for it. 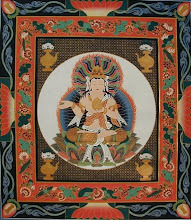 Is celebrated throughout the Mahayana tradition from the first to the fifteenth days of the eighth lunar month. It is believed that the gates of Hell are opened on the first day and the ghosts may visit the world for fifteen days. 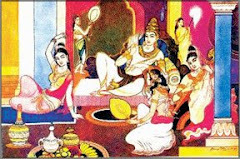 Food offerings are made during this time to relieve the sufferings of these ghosts. On the fifteenth day, Ulambana or Ancestor Day, people visit cemeteries to make offerings to the departed ancestors. 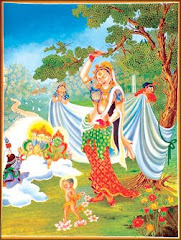 Many Theravadins from Cambodia, Laos and Thailand also observe this festival. 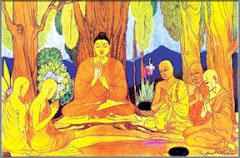 Bodhi Day honours the enlightenment of Siddhartha Gautama -- the Buddha. 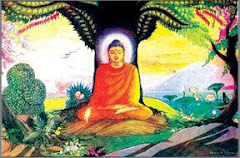 Buddhists observe the importance of this event by celebrating Bodhi Day usually on the eighth of December. 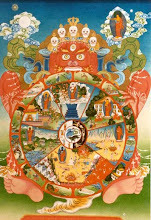 The day is observed in many ways, including prayer, meditation and teachings.